Traffic may have some unforeseen health impacts. Researchers at the University of Washington in Seattle conducted a study recently that found individuals exposed to high levels of traffic pollution were likely to experience an alteration in the structure of their hearts. The study, which was published in the American Journal of Respiratory and Critical Care Medicine, found that the alterations resulting from exposure to traffic pollution pertained primarily to the heart’s right ventricle. Researches say that this type of alteration could increase individual risk for heart disease. The study used cardiac magnetic resonance imaging (MRI) to look at the hearts of 3,896 subjects that had no cardiovascular diseases at the beginning of the study. Researchers also determined the levels of nitrous dioxide surrounding each subject’s home. Researchers found that there was an association between higher nitrous oxide levels and changes in the right ventricul of the heart. The Environmental Protection Agency began investigating pollution resulting from fossil fuels back in the 1970s, and found in 2010 that by decreasing sulfur dioxides, nitrous oxides and other particulate matter, environmental regulations were able to effectively prevent 130,000 heart attacks, 86,000 visits to the hospital, and 160,000 premature deaths. Though the University of Washington study does not effectively confirm that traffic pollution is responsible for the changes in the heart, Dr. Leary explains that the changes found in the right ventricul of the heart increased with the exposure to nitrogen dioxide. 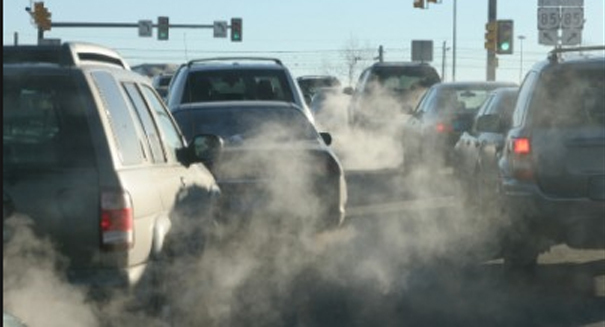 Researchers believe their findings will build upon previous, similar studies, and will contribute to help researchers understand whether or not there is a correlation between traffic pollution and heart disease.